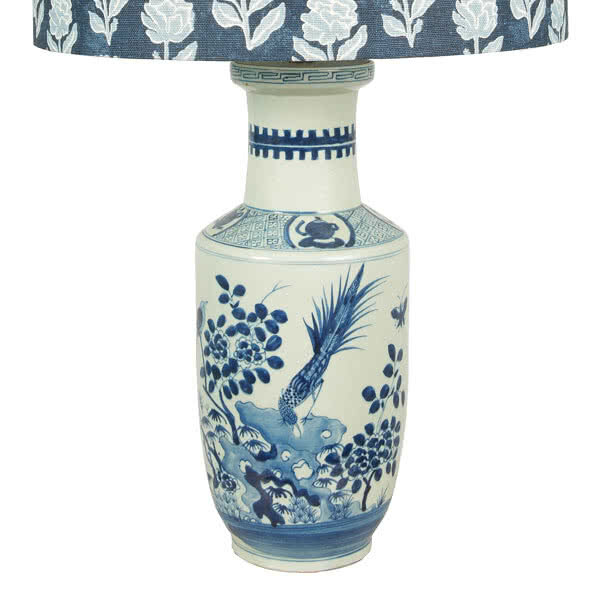 Antique blue and white ginger jar lamp base with custom-made Anna Spiro Textiles Marigold shade. 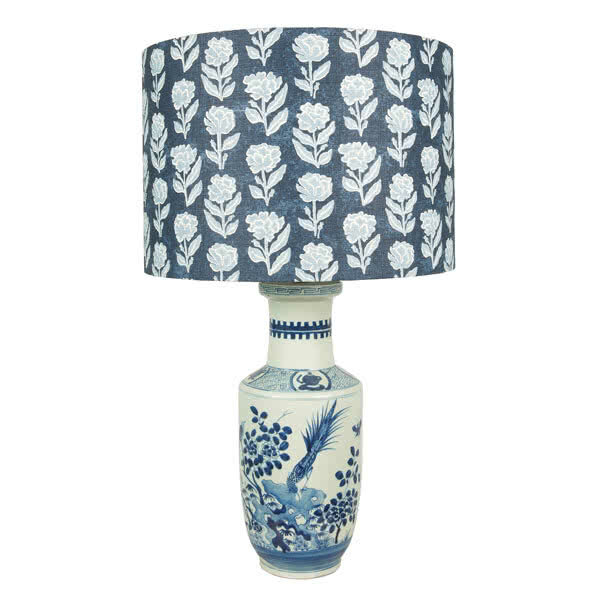 Price is for both lamp base and shade. Items are not sold separately.